Gregoire's Auto Repair specializes in the best auto repairs and services available in Hamburg, Blasdell, Orchard Park, New York; learn more about our dedication to our customers. 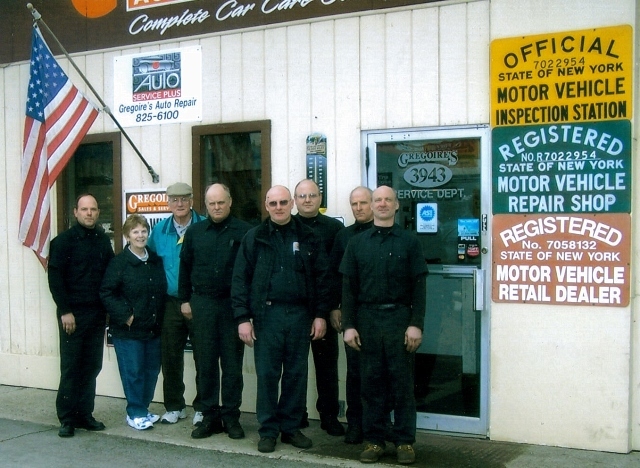 Gregoire's Auto Repair was opened in 1964 by Dennis and Betty Gregoire, a young ambitious auto technician and his wife. After a 15 year career working as a dealer technician, as well as serving his country in the Army, Dennis decided to take a gamble and open his own shop. With a strong desire to succeed and the skills to back it up Gregoire's Auto Repair became a well known fixture in the Southtowns. Soon after its opening, Dennis and Betty began bringing their sons into the business. Through technical training, job experience, and hard work their sons have developed into highly skilled automotive technicians with the desire to get the job done right the first time. Today, Vince, Steve, Tom, Pete, Dennis Jr. and Pat continue in their parents footsteps by offering the very best automotive and truck repair available, at affordable prices, to get their customers back on the road in no time.